> Toddler girl>Sandals>Cowhide Leather Sandal shoes with big flower and buckle fastening. Cowhide Leather Sandal shoes with big flower and buckle fastening. Cowhide Leather sandal shoes with big flower detail and buckle fastening for toddler girls. More info about Cowhide Leather Sandal shoes with big flower and buckle fastening. 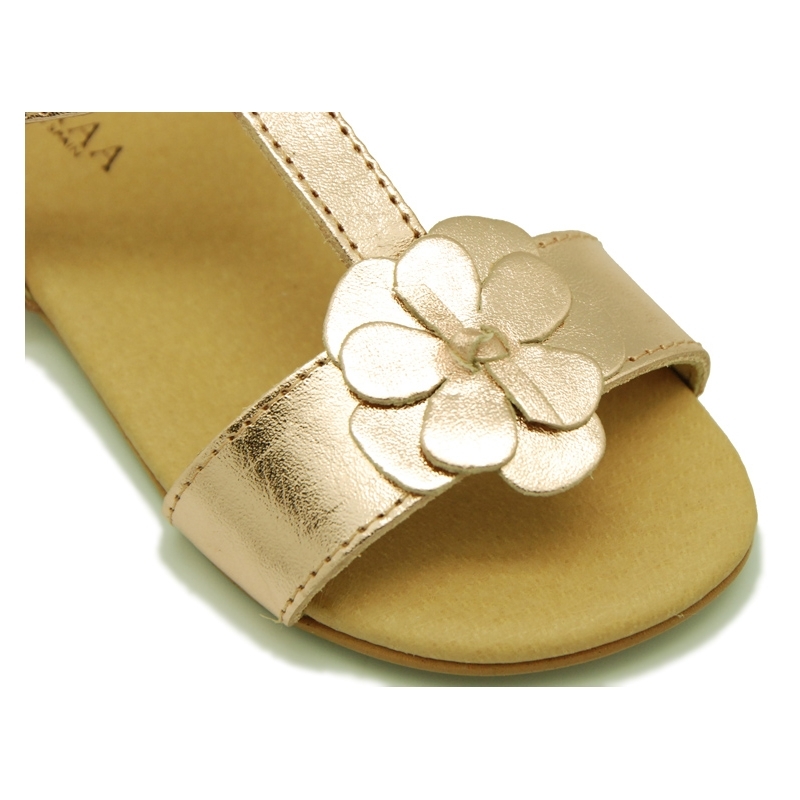 Leather sandal shoes for toddler girls, with central big flower detail and buckle fastening. With buckle fastenig for a perfect grip. Made up of 100% High quality Natural cowhide leather. ItÂ´s very classy and combine with all their garments this spring summer. Perfect for a formal dress. Available in 3 colors. Sizes range, from25 Euro size up to 38 Euro size. Data sheet about Cowhide Leather Sandal shoes with big flower and buckle fastening.